Passengers on board an Iraqi Airways flight heading for Baghdad hit a bit of turbulence earlier this week, but it wasn’t because of the weather. Instead, it was due to a rumble between the pilots. According to Boarding Area, it all began when the first officer on board the plane asked for meal service from the crew. However, the pilot took issue with this because the first officer allegedly didn’t ask for permission to eat. And instead of handling this like professionals, the two threw fists instead. 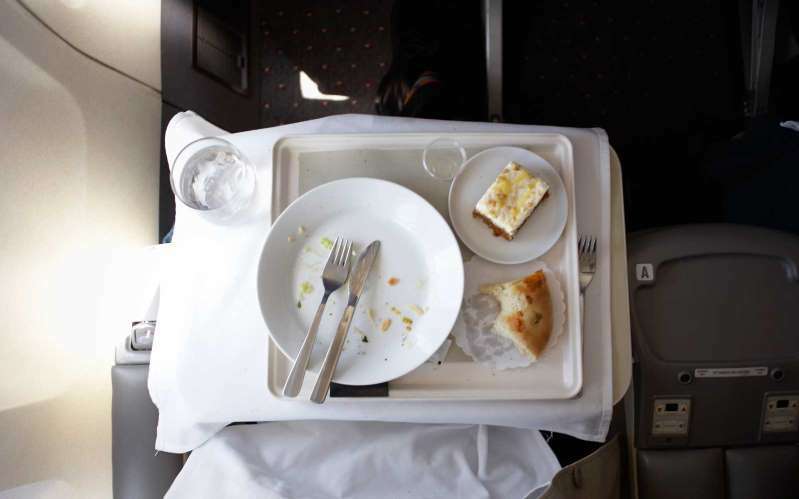 “Conversation with the pilot became heated because he forbade a flight attendant from bringing me a meal tray, under the pretext that I hadn’t asked him for authorization,” the first officer wrote in a letter to Iraqi Airways staff in an attempt to defend himself. He claimed that the pilot then began hitting him and attacking him in the cockpit. [post_ads]However, Boarding Area reported, things may have gotten even more heated than the first officer let on. The fight allegedly had to be broken up by security and even caused damage to the cockpit area. And it looks as though neither the pilot nor the first officer will escape punishment. In a statement, the Iraqi Ministry of Transportation said both men will no longer be allowed to fly. “They will have no chance of escaping harsh penalties, and will face the worst and most severe punishments, the least of which is the denial of flight for life,” the statement read. Iraqi Airways is not alone in dealing with poor cockpit behavior. In July, an Air China pilot attempted to smoke an e-cigarette. While doing so, the pilot inadvertently turned off the plane’s air conditioning system in an attempt to stop the smoke from reaching the passengers in the airplane. That caused the plane to depressurize and drop more than 20,000 feet. Thankfully, the plane safely landed an hour later. And just last week, a former Alaska Airlines pilot was sentenced to jail for flying multiple flights while intoxicated. Maybe all of these pilots should try this technique to relax before a flight in 60 seconds or less.